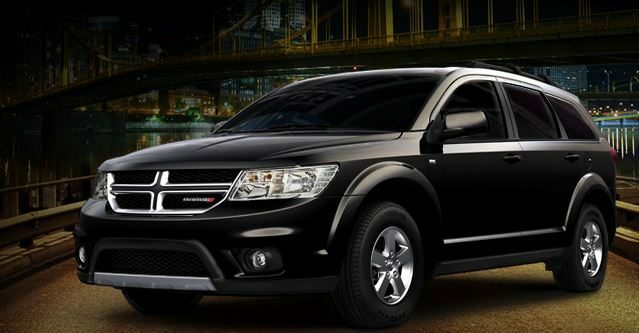 Should I Buy A Dodge Journey? Home › News and Reviews › Should I Buy A Dodge Journey? Although they say that a journey of a thousand miles starts with the first step, for Dodge the real Journey actually started back in 2009 as a vehicle that was probably ahead of its time. Dubbed by some as a ‘Man Van’, the Dodge Journey people mover is, at the end of the day, an edgy, ground-breaking vehicle that defies labels. It’s part wagon, part mini van, part 4×4 and part tourer, meaning that it has often been overlooked by less observant buyers. Hailing from the shores of America (albeit via Mexico) the unique car originally perplexed Australian families who simply couldn’t categorise this weird Frankenstein of the road. Do you need a vehicle for the kids and their friends, a holiday road trip, picking up groceries, moving furniture, transporting the footy team – or all of that and more? Because it had the character of lots of different vehicles, it was never seriously considered as a contender for any one shape. But now that crossovers are booming in popularity there’s more reason than ever before to consider the Dodge Journey as a very viable option for those looking for a new car, especially if you live an active life on the go. Firstly, the fact that the Journey is still on offer in three trim levels after a decent run with only minor facia upgrades speaks to the fact that Dodge firmly believes this vehicle is yet to fully come into its own. Despite a bit of a higgledy-piggledy offering from the American automaker (both the Caliber and Nitro are no longer offered), the Journey remains. The extensive features list includes a capable V6 engine, power and heated electric mirrors, tri-zone climate control, leather-wrapped steering wheel, alloy wheels and power windows standard across both SXT and R/T models. There’s also a third row 50/50 flat-fold seating option available and a limited edition ‘Blacktop’ model which will please the dads out there with black exterior details and black alloys. Then there’s the price. Available brand new from around $35,000, it’s a lot of car for the money. If that’s not a concern, you could instead opt for the Journey’s European twin the Fiat Freemont – based on the Journey platform but with a little bit of Italian flair. But regardless of which Fiat-Chrysler you’d prefer, the bottom line is that the Journey should seriously be considered for those pondering anything from the Honda Odyssey, Mitsubishi Pajero, Subaru Outback, Hyundai iLoad or even something smaller like a Holden Captiva or Trax and anything and everything in between. It really is the man van that can!